Flexible and with a great demo page. Supports numerous controls, modal and inline use, flipping, rotation, and more. An attempt to recreate React’s core functionality with as little code as possible and with first-class ES6 support. There are lots of demos to check out. 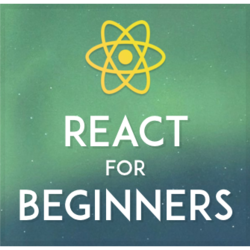 “I think that there is an opportunity to do the same with React, but I am concerned that we could also go in another direction..” Key thoughts and insights from an industry expert. One library’s solution to approaching client-side modularity using a mono-repo, one npm package and several CommonJS require-able modules. Cody Lindley says component architectures are a cornerstone of all modern front end libraries/frameworks and shows how they work in some of them. Google’s Jake Archibald is excited about the potential of streams in browsers to improve Web responsiveness. A look at the future? A popular (paid) screencast site. Their new series is free to watch till the end of Sunday. Provides a jQuery approach to working with the HTML5 Canvas. In this video course you'll learn the coolest features of ES6 like classes, fat arrows, iterators and generators using Babel and Meteor. A look at Kendo UI, FullCalendar, and dhtmlxScheduler. Now MIT licensed and at version 2.6.0. Absolutely tons of documentation and demos.